Scrolling through Pinterest and seeing images of perfect staged gorgeous spaces makes me equal parts inspired and overwhelmed. 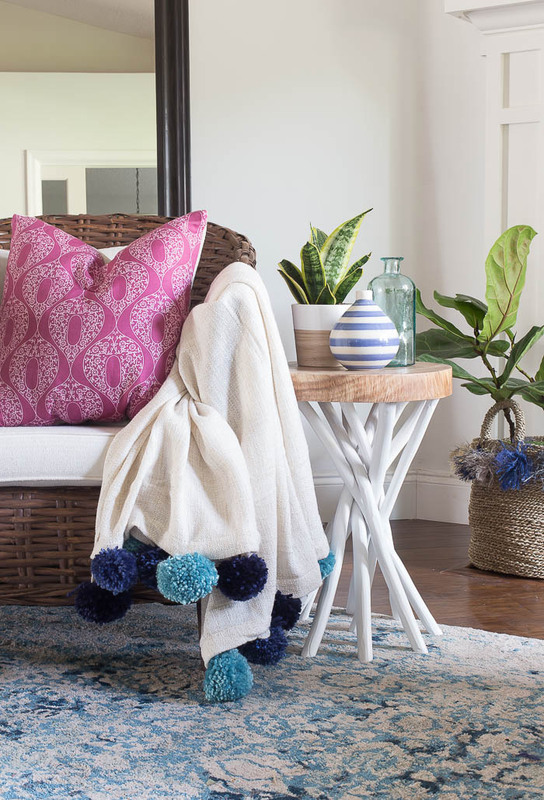 Decorating a space from scratch is a lot of work even for the most seasoned decorator. 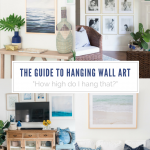 If you’ve ever tried to decorate a space, just to re-decorate it a few months later, you know that decorating the perfect room is more than just paint and pillows. 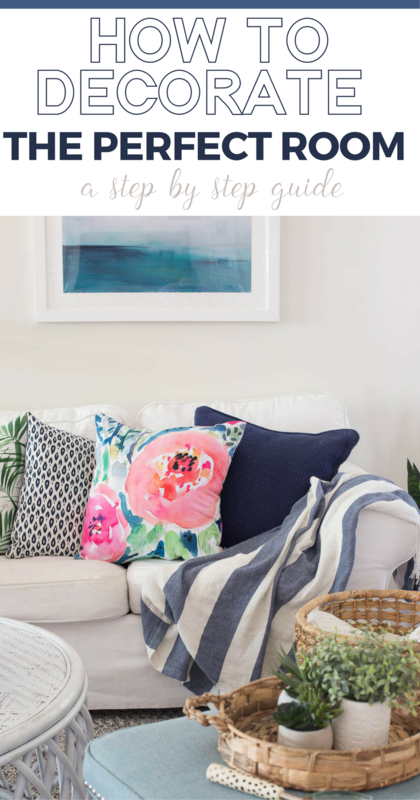 This question: How to Decorate The Perfect Room has come up a few times in reader emails so today I’m sharing the guide I follow when I decorate a space from start to finish. or your convenience, this post may contain affiliate links. That means, at no additional cost to you, I may make a small commission on your purchase. Thank you so much for supporting MHB. Click here to read my full disclosure policy. When you embark on a room design, it’s essential to be completely aware of your decorating style. 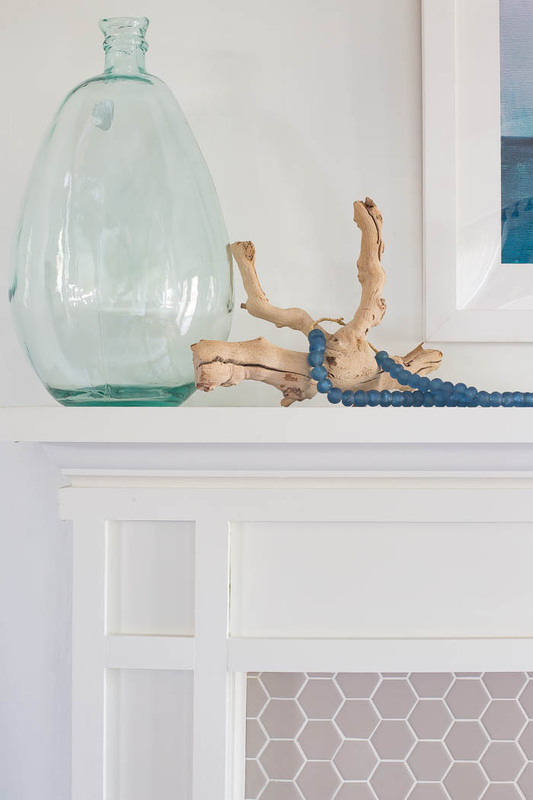 You can get a crash course on finding your decorating style here. Your personal style is a big hint as to what your decorating style may be. Without having your style nailed down, there’s a good chance your chosen decor won’t last over time. Not only should you take into account your decorating style but also the style of the home. If you live in an older home, your home likely has a style of its own already. Can you merge your decorating style with the architectural style of home? It’s important to consider how the space will be used in order to truly create the perfect room. Think about your family and what their needs are. Consider how much time will be spent utilizing the space. Also, I encourage you to think outside the box when you consider how you might use different rooms in your home. For example, our home has a room off of the kitchen that was designated the dining room. While I would love a formal dining room, this room didn’t really work as one. Instead, we decided to use it as an office. It’s a great location being close to the main living areas and truthfully, we would rarely use a formal dining room if we had one so using this space as an office makes more sense. You’ll also want to think about how the spaces flow. Using the example of my office one more time, having it near the main living areas makes sense and provides a nice flow. My favorite part about decorating a space is going nuts with inspiration. I catch myself doing this even when I’m not decorating a room. Hop on Pinterest or google and start searching for spaces that fit your style. 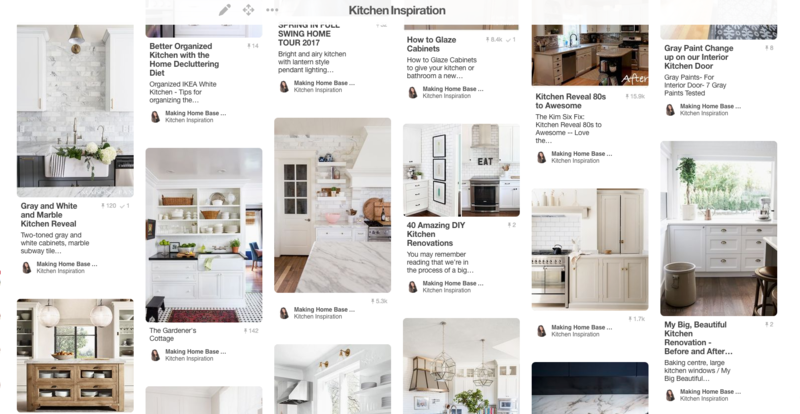 Create a dedicated pinboard for that room so you can hold all of your inspiration for that room in one place. You’ll want to pin anything and everything that inspires while sticking with the style of the space. 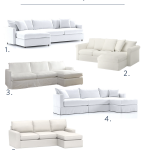 You might pin fabrics, furniture, art, even clothing and accessories that fit within your style. After you’ve pinned a bunch, analyze your board and take note of any common themes such as colors, textures, and patterns. This will give you a decent guide when it’s time to create your mood board. After you’ve pinned everything to your Pinterest board. You’ll really have the want-me’s (does anyone else say this? Matt taught me this phrase years ago and it cracks me up) and that puts you in the perfect place to dream up the perfect room for yourself. Start making a list of all the things you want and want to do to your space. Think big here – don’t constrain yourself. Nothing is off limits to the dream sheet. 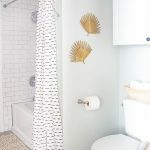 Creating a list of your dreams will be really helpful in determining what features are most important to you when it comes to designing your room. Don’t forget to add the small things to your list as well such as accessories. Unless you are a spreadsheet connoisseur this isn’t the most exciting thing about decorating the perfect room but it is absolutely essential. Any numbers person will tell you that writing it down means you’ll be much more aware of what you are spending. What I like to do is create a spreadsheet and add every single expense that I can think of. 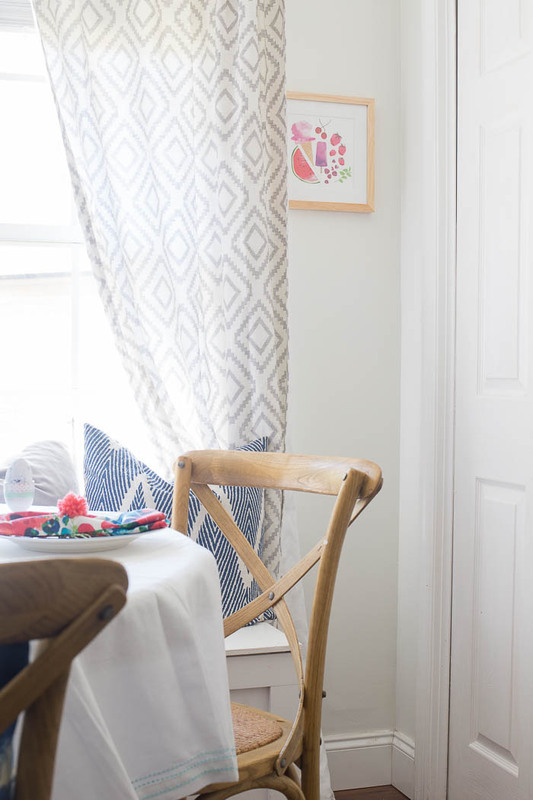 From major things like kitchen countertops all the way down to curtains and drapes. I create a column for what the estimated cost is, and then once I’ve purchased the item, I input the actual cost of the item. That way I know if I go over my budget in one area, then I’ll have to scale back in another area. Itemizing the estimated costs of everything on my dream sheet helps me to create a budget. I pare down until I’ve reached the maximum amount I’m willing to spend – this leaves me with the things I want the most. I typically keep one or two splurge items in my budget and in order to do that I’ll try to find other items for much less by shopping on Craigslist or thrift stores. 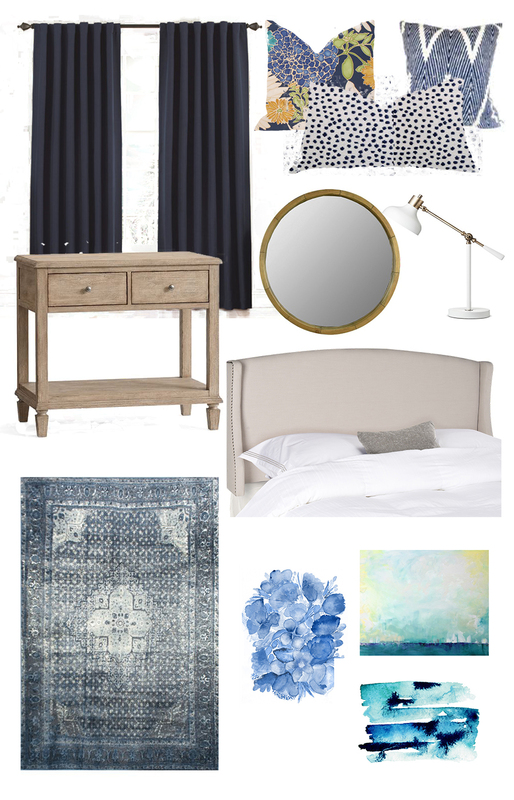 Next, I build a mood board (see my bedroom mood board here) so I can visualize my design. I take my inspiration and combine it with my dream sheet and budget to create a design that I’ll implement into my space. 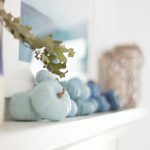 I use Photoshop to create mood boards but you can use a free service called PicMonkey.com or even just grab a posterboard and some glue to create a physical mood board. The intention here is to create a visual that you can reference as you go through the decorating process. As you can see the majority of my decorating is planning ahead. I wish I had hopped on the planning train ten years ago and maybe I wouldn’t have wasted so much cash. 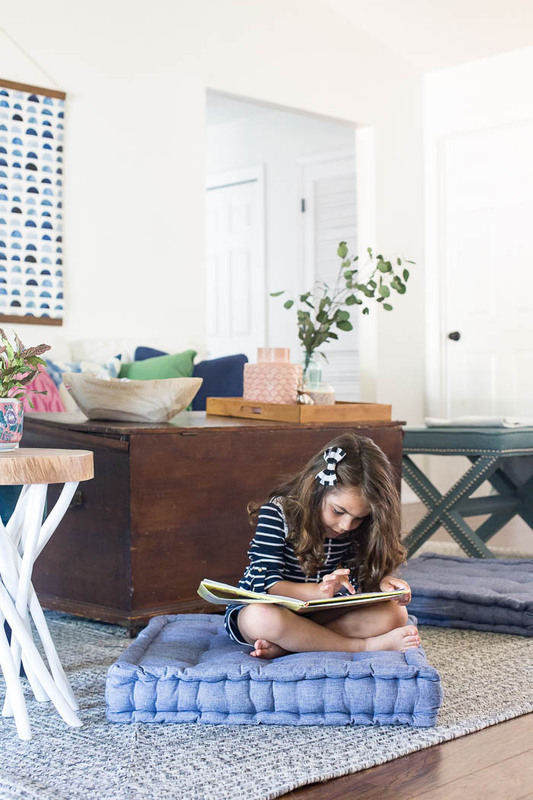 Planning out your space in great detail helps you make thoughtful decisions about your decor so that you are sure to create a space that you’ll love for a long time. Once you have your mood board it’s time to start implementing your design. I usually start with the patterns and fabrics. 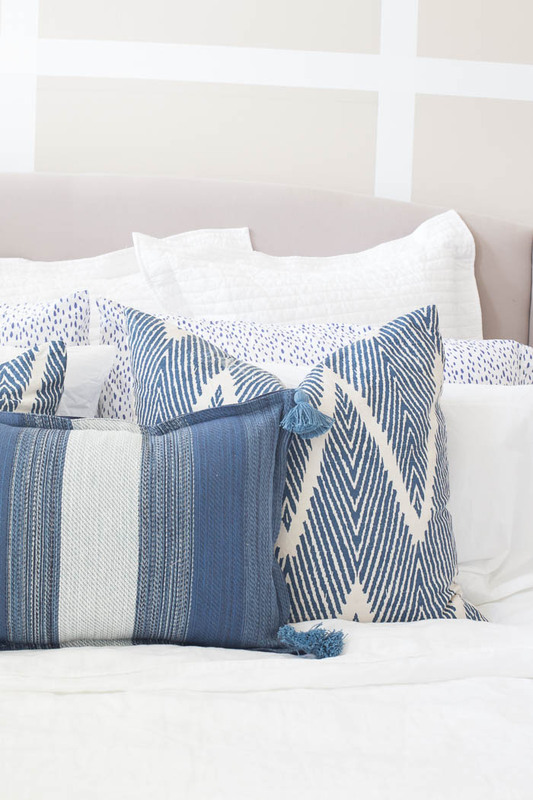 I usually purchase whatever textiles I’ll be using in the space first that way if I need to make pillows or drapes I have plenty of time to do that. I also like to shop with the fabrics that way I can be sure that what I’m purchasing will work well with my chosen textiles. I’m always flexible and willing to edit my design if necessary. Sometimes, you might find something that works a bit better in the space or you can’t find exactly what you are looking for – editing your design is okay! This space is yours make sure everyone knows it. It’s important to add a pinch of your own personality to your space. 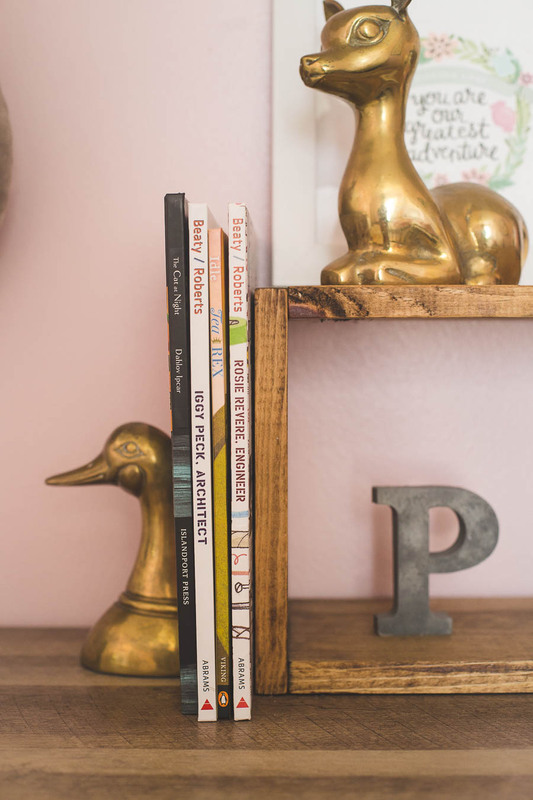 Whether that’s displaying mementos and heirlooms, books you love, or just hanging family photos on the wall, you should be present in your space. Whatever the space, it should be a place that you love. Once you are done decorating your perfect room – take the time to really enjoy it. So, that’s how to decorate the perfect room. These are the steps I follow and they help me to stay focused so I get a room that I truly love. Do you have any tips on how you would create the perfect room in your home? Just beautiful! Where did you get those large pillows that the little girl is sitting on? And what are they called? This is exactly what I’ve been looking for. My wife and I have recently refinished our hardwood floor, and are now looking to decorate. This helps us out so much!